The restaurant and catering industry is subjected to a variety of health and safety risks. Pro-Visual Publishing, along with Restaurant & Catering Australia, aims to raise awareness of the correct procedures that must be implemented in the workplace. As a result, Pro-Visual Publishing happily announces its next edition of the Restaurant & Catering Australia’s Guide to Food Safety & Hygiene. Stock rotation and cross-contamination are just two of the many topics featured on this year’s guide. Both are focused on ensuring the freshness of food in the workplace. Storing products correctly is integral in the food industry. This is to prevent the transfer of bacteria and other viruses. As well as food safety, industry workers also have to apply the correct procedures when handling sharp knives and objects, as well as manual handling. There have been many unfortunate incidents when employees have injured themselves due lifting heavy objects incorrectly to not paying attention when dicing and slicing. Emergency procedures are put in place to help employees’ better handle risks and hazards. An emergency development plan is then developed and carried out on regular occasions. 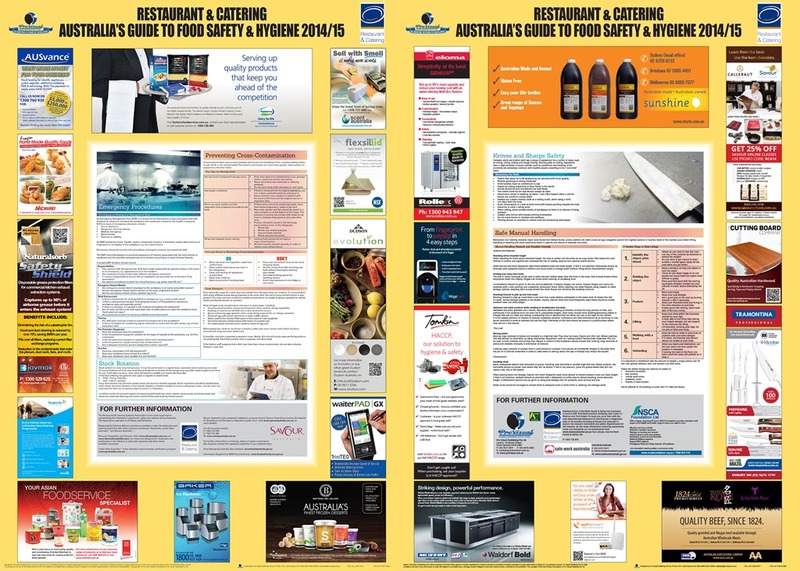 “I would like to thank all of the sponsors of the Restaurant & Catering Australia’s Guide to Food Safety & Hygiene 2014/15. Their support has made it possible for the Guide to be distributed free of charge” – John Hutchings, CEO, Pro-Visual Publishing.